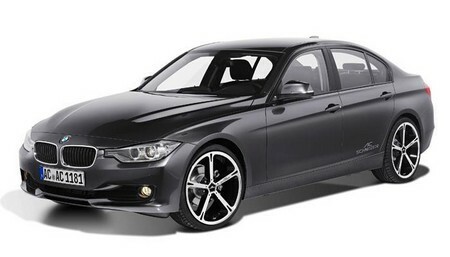 German tuner AC Schnitzr revealed its Geneva-bound BMW 3 Series package. The body kit consists of Front spoiler, rear roof spoiler, rear spoiler, rear skirt, decals, rear skirt protection foil, and emblems. There is also a wide range of 18, 19, and 20 inch AC Schnitzer wheels. For the interior you get 3-spoke sports airbag steering wheel, leather gear knob illuminated, gear knob with digital shift display, aluminium gear knob “Black Line”, aluminium handbrake handles, aluminium cover “Black Line” for i-Drive System controller, aluminium pedal sets and foot rest, and velours floor mats. Performance upgrades are in the works and will be announced later.